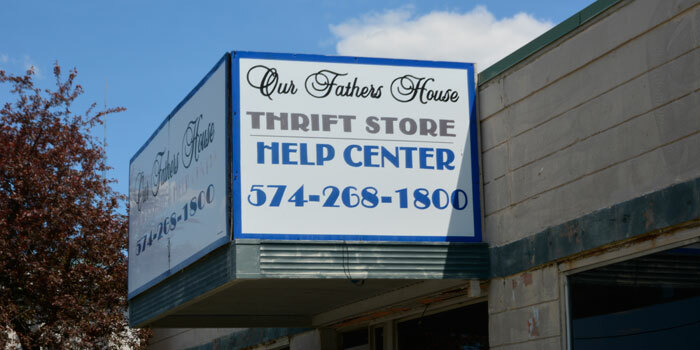 The front of Our Father’s House thrift store. WARSAW — As flatscreen televisions become more popular, cathode-ray tube televisions, the big blocky ones, have become increasingly less desirable to own. This switch has led to an increasing number of people illegally dumping these TV’s in order to get rid of them. An abandoned CRT television sitting outside Our Father’s House donation box. “Sometimes they’re [TV’s] in ditches, sometimes people put them out for the garbage and the garbage trucks can’t take them.. It’s the law that they can’t be thrown away.” stated Shelley Heckert, the director of Kosciusko County Recycling Depot. The Indiana Electronic Waste Law states that, “Electronics contain heavy metals including lead, mercury, cadmium and hexavalent chromium … Recycling electronics ensures that these materials are safely managed.” These electronics include but are not limited to computers, fax machines, DVD players, mp3 players, laptops and televisions. These TV’s have also been dumped at various charities throughout Warsaw, including the Salvation Army and Our Father’s House. “We get about seven TVs a week,” Roz Morgan, founding director of Our Father’s House, said when questioned about illegal dumping. “We stack them up and have to take and pay to dispose of them … We spend about $84 a load,” she continued. There was even a weapon involved one such transaction. Someone had come to dump TV’s at Our Father’s House and upon being told that the organization couldn’t take them, a knife was drawn. “I wasn’t there personally, I only heard from my volunteer … They [the volunteer] were trying to tell them [the dumper] that they couldn’t drop the TV’s here … It turned into a hollering match and no one could understand each other … the driver is the one that did it [drew the knife].” The dumper finally left with the TV’s and no one was injured, however, when the next Monday morning came around, the televisions that the dumper left with were back; sitting outside the donation box. There is a legal recourse for the recycling of e-wastes, which include these televisions. The Kosciusko County Recycling Depot will take them for a fee. “We charge based on screen size. 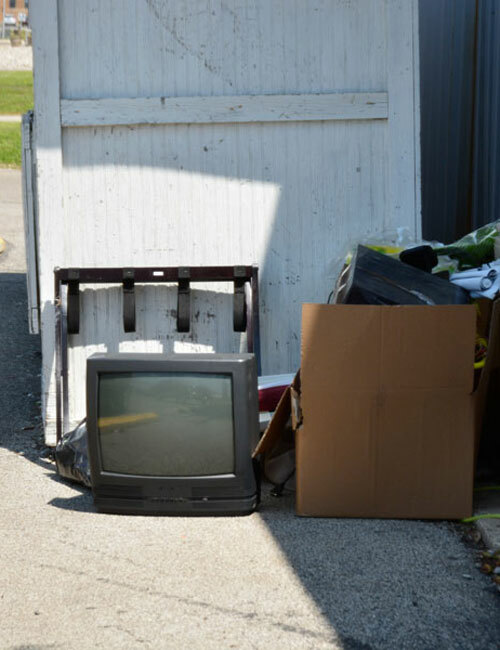 Up to 24 inches is $10, over 24 inches is $20, and the huge projection TV’s are $30 … We charge just to cover our costs,” Heckert of the Kosciusko County Recycling Depot said. Even with this option, people continue to drop them off at charities.